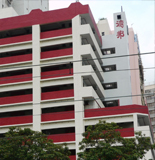 Established in Hong Kong 1971, Allied and Associated Enterprises (HK) Ltd is an importer and exporter of chemical materials and button making machines. Our specialization consists of reinforced plastic raw materials, including Fiberglass Mat, Fiberglass Cloth, and Unsaturated Polyester Resin, etc. In addition, we are the sole agent for the Italian company BONETTI, a leader in button making machines. 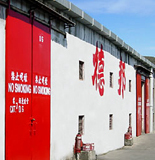 Moreover, we operate warehouses for general and dangerous goods, holding licenses from Cat. 2 to Cat. 10. We have an integral professional transportation team that provides goods handling, container haulage, container loading and unloading, delivery, goods packing and labeling services to our clients. We have also joint venture with Birmingham, England - Llewellyn Ryland Ltd. For the FPR pigments paste productions as Llewellyn Ryland (China) Ltd. in Hong Kong - Bringing Colour to Life.